These days, my 80-year-old grandmother spends as much time posting on social media sites as my most plugged-in millennial friend. While blogs were once the forefront of online publishing, anyone with a smartphone can now post their opinions online, and even potentially go viral. That doesn’t mean, however, that blogging is obsolete. On the contrary, blogs are big businesses, earning real money for anyone with the right tools. 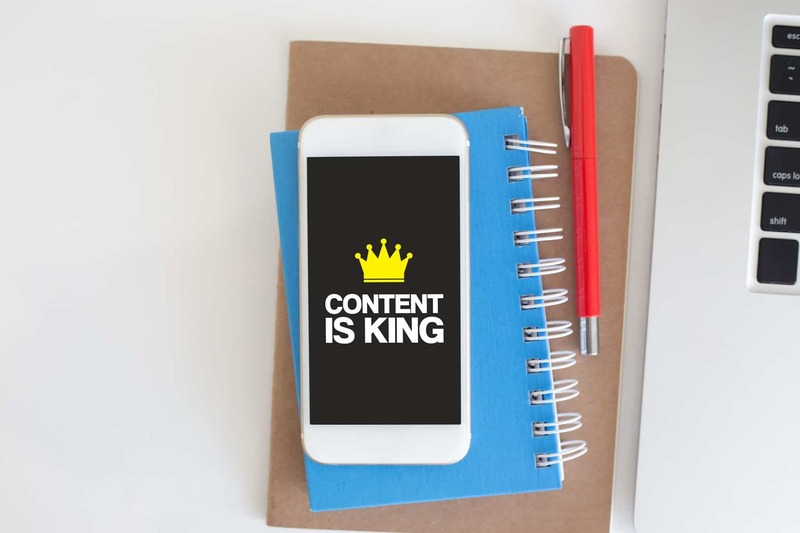 From hobbyists who have developed a devoted following to small companies that successfully position themselves as industry experts, a solid content marketing program or a professional blog writing service can mean a flow of real money through a blog. Wherever you fall on the continuum, you have the potential to turn your blog into a viable, profitable business. The first step to creating a profitable blog is publishing consistently outstanding content. No matter what your subject area, you need to provide a fresh take that readers can’t get anywhere else. Review your existing content marketing program and compare it to other bloggers in your niche to analyze your strengths and weaknesses. This doesn’t mean you need to be an outstanding writer to turn your blog into a business. In fact, hiring professional content writers is often the best way for business owners to create a new profit stream with a successful blog. The best content will engage your readers and encourage them to share it on social media, thus expanding your reach and attracting links from other reputable blogs. This in turn improves your search engine optimization ranking. If your blog isn’t already set up with Google Analytics, you’re missing out on a valuable source of data about your website visitors. Once you register for the service, log into your account and click the Audience tab on the left-hand menu. This allows you to view an overview of the age and gender demographics for your audience, along with information about their general interests and even purchases they may be currently researching. This data can be used to specifically target blog content to your visitors’ interests, which means they’ll be more likely to make multiple visits to your site. Once you’ve gathered audience data, Problogger recommends making a list of places where your target audience already spends time. 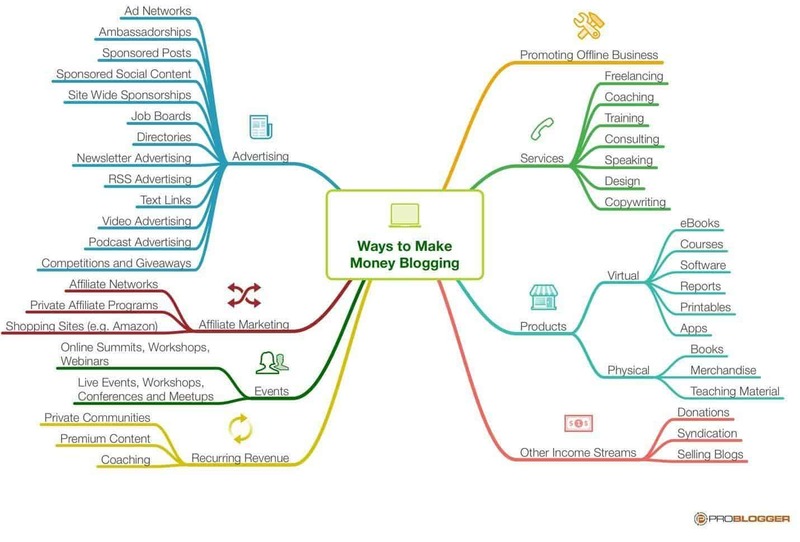 Brainstorm a list of other blogs, websites, online stores, podcasts, and forums related to your niche. Many of these may already have a built-in community. Begin posting relevant, well-thought-out comments and information on those sites as a bona fide participant. If you offer something of value to your designed readership, they will be attracted to your site. 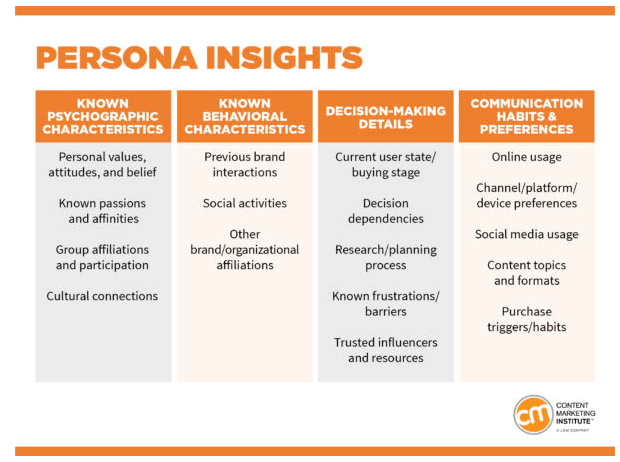 This diagram from the Content Marketing Institute can serve as a jumping-off point to create your audience personas. PPC/CPC: Pay-per-click/cost-per-click ads are often sidebar banners on your site. You get paid each time a reader clicks on the ad. CPM: Cost per 1,000 impressions ads pay a certain fixed amount depending on the number of people who click on the ad. The more readers you have, the more money you can make from ads. As your site grows, potential advertisers will likely begin to approach you directly. If your blog following is big enough, companies will approach you to write sponsored posts. Be selective and only write about products and services that have relevance to your audience. Check out this sponsored post from Wardrobe Oxygen, a fashion and beauty blog for women in their 40s. The topic, Colgate Optic White products for teeth whitening, adds value for the audience while fitting in well with the blog’s overall content. Keep in mind that sponsored posts must be clearly marked as such. If you’re active on social media — which you should be if you truly want to create a successful blog business — you can also offer sponsored tweets or Instagram posts. As a business owner or blog editor, you’re likely already an expert on something. If you can create an e-book on a specific topic that your readers want to know about, you can successfully sell it on your site for between $5 and $40, according to Forbes. Some blog businesses even offer a free e-book as a way to get customers to sign up for their email list, or as an incentive for sharing the blog with their social media contacts. Online gift guides and product review posts often include affiliate links. Simply put, if someone clicks a link on your blog and then purchases the product, you earn a commission on the sale. Amazon’s affiliate program offers an easy way for new bloggers to get started. These types of posts have the added benefit of creating “sticky” content. For example, review this holiday gift guide by the Grown and Flown parenting blog. Readers shopping for kids who are off at college will likely bookmark the post and refer to it several times over the holiday season, giving them a reason to repeatedly visit your site. The more valuable the content you offer your readers, the more emails and messages you’ll get asking for advice. By creating a blog that touts your expertise — no matter what the subject area — you’ll be able to charge a fee for this advice. This may come in the form of phone support, one-on-one meetings, courses, videos, lectures at conferences, or webinars. It is entirely up to your imagination. Turning your blog into a profitable business is well within reach, provided you have the content marketing program needed to draw readers in and keep them coming back for more. If content creation isn’t your forte, we’ve got you covered. Browse our content shop to learn more about purchasing anything you need, from blog posts to white papers to e-books, all customized specifically for your site.